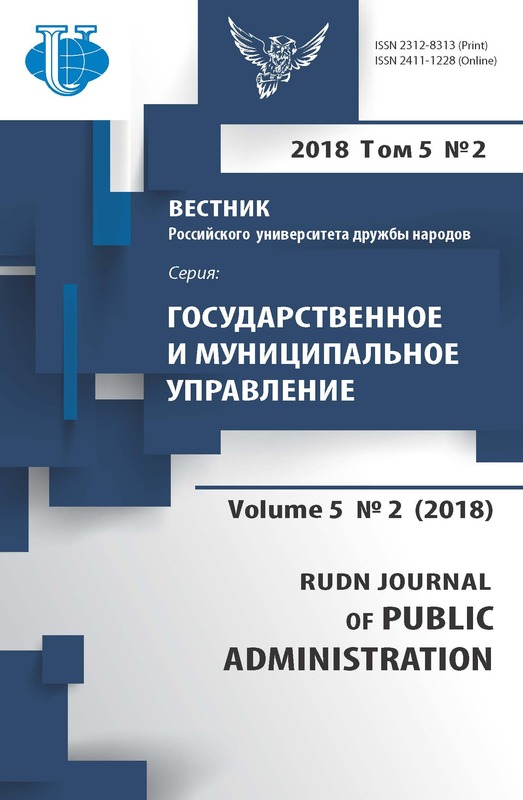 The scientific journal "RUDN Journal of Public Administration" is published quarterly since 2014. The journal publishes original papers on scientific research in the field of public administration, scientific reviews, as well as supporting materials for anthologies and topical issues of public administration. The journal is published four times a year in Russian. Manuscripts are accepted throughout the year, are published in the common queue. The timing of the publication depends on the degree of filling of the journal and is about 3 months. Printing run of the journal is 500 copies. Publication of papers are free of charge. The information about all the articles published is archived in Russian Electronic Scientific Library (eLIBRARY.ru). The direct URL to the journal issues: http://elibrary.ru/contents.asp?titleid=55768. You can search through article metadata (title, author, keywords, abstract etc.) on eLIBRARY.ru. The URL to article’s full text is available on the article’s page on eLIBRARY.ru. The articles’ full texts are stored on the journal’s server and can be accessed through this page (http://journals.rudn.ru/public-administration/issue/archive) or from each article's individual page on eLIBRARY.ru.